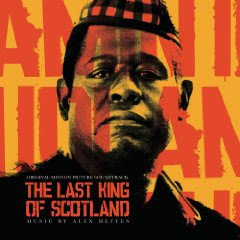 We met at Joan's home and discussed the film, "Last King of Scotland" based on the book of the same title by author Giles Foden. Thank you to Joan for hosting this evening's meeting. The cheese plate was especially appreciated. We had almost full attendance, Beth, Betty, Carla, Colette, Linda, Janet, Joan, Jolene, Shirley and myself Michèle. The movie is a fictionalized version of Idi Amin's rule as dictator in Uganda. General Amin is played by Forest Whitaker. It is based around the story of a young scottish doctor, Nicholas Garrigan, played by James McAvoy who becomes Idi Amin's personal physician. Most members thought the film was well done though many visual errors were apparent in the movie. All members felt that Forest Whitaker was excellent and portrayed Amin's paranoia very well. Some members saw a correlation to the rise of Hitler, the charisma that mesmerized the population. Some members saw a correlation to MacBeth, King of Scotland and very paranoid. Members also felt that James McAvoy played Dr. Garrigan well as a naive easily influenced young man. This month's choice generated a particularly good discussion. It is very apparent that this is a serious book club! Many members had very thoughtful and insightful comments. Two members had read the book even though the only requirement was viewing the movie. The plot and characters were quite different from the movie itself. One member did research on the British Empire and the impact of the British rule and quick withdrawal from African colonies. One member watched the director's version that gave background information on what scenes are fictional and what scenes are based on facts. There was a good discussion about the so-called benevolent but domineering and racist British rule that did not properly prepare native leaders for independence. All members felt that this was a good choice generating a lot of discussion and thoughtful insight. Thank you Linda and thank you also to MJ.